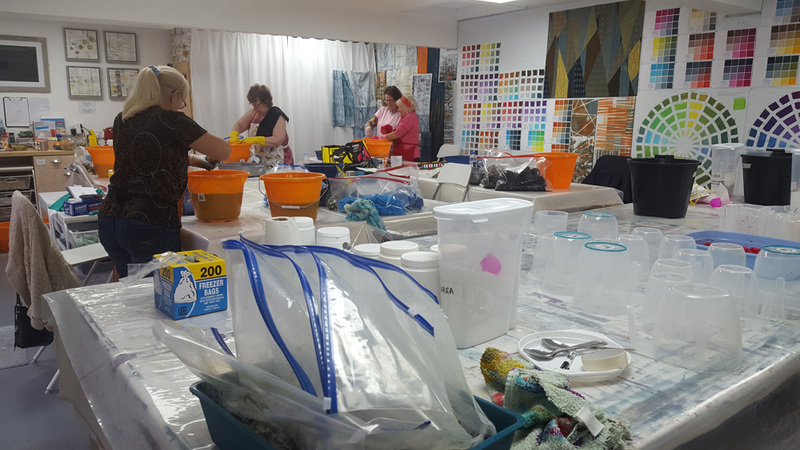 This last weekend I had my two ‘Introduction to Surface Design’ groups in the studio for the 2nd session in their ‘day a month for 10 months’ program. 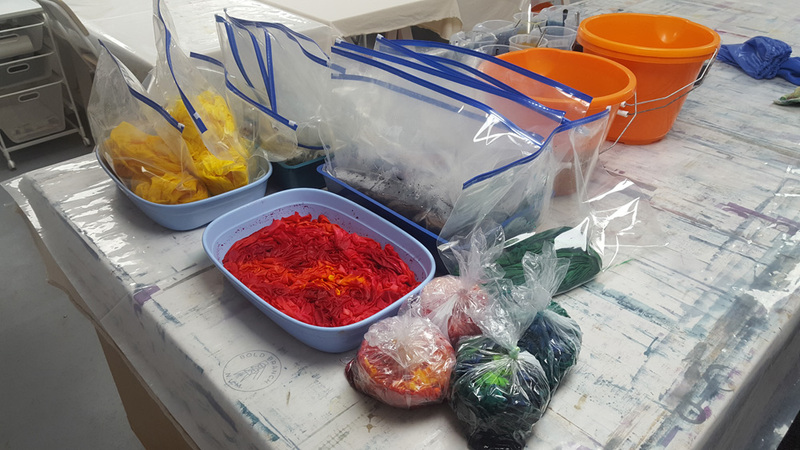 I had introduced the groups to dyeing in the first session by having them dye an 18 part colour wheel using the ‘dye in a bag method’. I learnt this way many, many years ago during a workshop with Helen Deighan and still use it today when I want to dye small pieces of fabric. But in the 2nd session we got into the serious stuff. Each of my lovely ladies dyed 12 x 1/2m pieces using a high immersion bucket method in a dark, medium and light version of a single colour. These pieces will be over dyed with a different colour in the next session to create a colour family of coordinated ‘nearly solid’ fabrics. They then dyed 6 x 1/2m pieces in a gradation using a low immersion technique. And finally I let them loose using multiple colours with tray dyeing and layered dyeing techniques. My goodness but they worked hard! 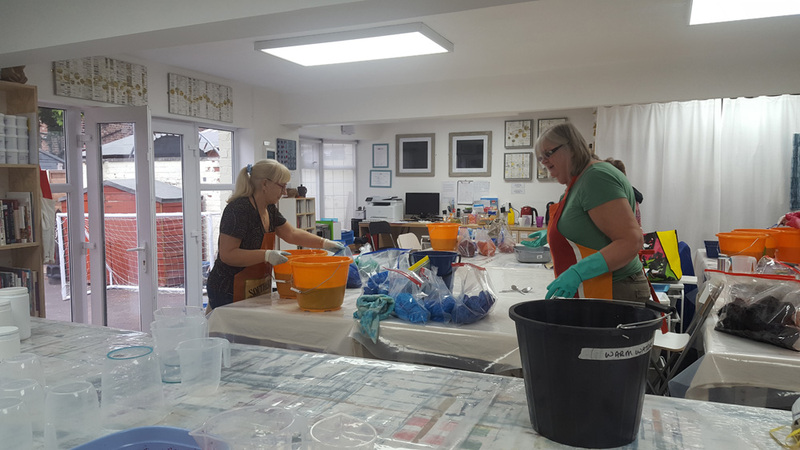 They each dyed over 11 square metres of fabric! And so far they are delighted with the results - it gives me a warm fuzzy feeling when they share photos! Because I teach by ‘doing’ I dyed fabric using each method each day. So Monday and Tuesday were taken up rinsing, washing and ironing a mammoth 22+ metres of fabric. And I couldn’t be happier. Not everyone likes this bit but I do …. its that sense of a slow reveal as you rinse away unused dye, as the washed fabric drys and finally as you iron it. Life is good.